Vale veterinary Centre Ltd respects your personal information and undertakes to comply with all applicable data protection legislation currently in force. Except as provided under these terms, Vale veterinary Centre Ltd will not disclose your personal information without your permission unless such disclosure is required by law or other court order.  You are entitled to request a copy of the information which Vale veterinary Centre Ltd holds about you. If you become aware that the personal information Vale veterinary Centre Ltd holds about you is inaccurate, you may request that we amend it. Any requests in this respect or any other correspondence relating to this notice should be directed to Chris Williams. Vale veterinary Centre Ltd’s Data Protection Officer is Chris Williams who will monitor GDPR compliance within the organisation and advise the organisation of their obligations. If you have any concerns or need further information then please contact the Data Protection Officer. For information on GDPR and your obligations, or if you have any concerns you should contact Chris Williams. I confirm that I have read and understood the above information relating to how my personal information will be processed and shared.